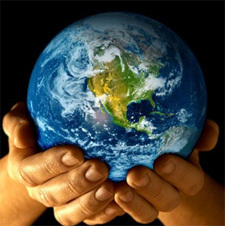 In honor of Earth Day, which was April 22, and in anticipation of the 35th anniversary of the naming of St. Francis as patron of ecology this fall, the director of the Order’s Office for Justice, Peace and integrity of Creation (JPIC) encourages the Franciscan family to explore and embrace the responsibility to be good stewards of creation. The celebration of Earth Day on April 22 offered a great opportunity to reflect on the goodness of creation and on the responsibility that God has given us to care for the Earth and all creatures. Fifty years ago, across the globe, there was little awareness of ecology and of the deteriorating condition of the environment. The Church shared in this lack of awareness. Publication of Silent Spring by Rachel Carson in 1962 changed the situation dramatically. Her bestseller brought home for many a message of concern for living organisms, the environment and public health. The first Earth Day, in 1970, capitalized on this emerging consciousness. In the immediate post-Vatican II era, the environment was not a major concern in the Church. Delegates at the Council made it clear they were very concerned with the “cry of the poor.” They wrote in Gaudium et Spes: “Taking into account the immensity of hardships which still affect a large section of humanity, and with a view to fostering everywhere the justice and love of Christ for the poor, the Council suggests that it would be most opportune to create some organization of the universal Church whose task it would be to arouse the Catholic community to promote the progress of areas which are in want and foster social justice among the nations.” In response, Paul VI established the Pontifical Justice and Peace Commission in 1967. But, as the name suggests, the environment was not a priority for the commission. Ecological conversion must be for us today an important part of our relationship with God, with one another, with nature and with all of God’s creatures. Over the next 10 years, however, the situation would change. The book Limits to Growth was published in 1972 and raised worldwide alarm. Stimulated by this rising clamor, our Protestant brothers and sisters began to respond to the situation. Two assemblies, promoted principally by the World Council of Churches, dealt with environmental questions, and helped link ecological problems with those of justice and peace. They helped popularize the expression “the integrity of creation,” which has since been incorporated into the JPIC organisms of religious congregations. During the time of John Paul II, the Church developed a greater sensitivity to the issue. The pope dealt extensively with ecology in his teaching, and in 1979, he named Francis of Assisi the “heavenly patron of those who promote ecology.” Catholic concern for the environment was solidified by the message of John Paul II for the World Day of Peace in 1990. Br. Keith Warner, OFM, a friar from Saint Barbara Province on the West Coast of the US, notes that so great was the impact of this document that it effectively ended debate about whether Catholics should be concerned about the environment and shifted the discussion to how Catholics should express their care for creation. While most conventional environmentalists point to unbridled industrial growth and flawed public policy as agents of ecological crisis, John Paul II challenged all people to recognize an even deeper cause of these ills: our sin, selfishness and lack of respect for life. He argued that it is from our disordered understanding of what it means to be human — in relationship to God, to our fellow human beings and to creation — that many of our ecological crises flow. Building on these reflections, in his general audience on Jan. 17, 2001, Pope John Paul II called us all to “ecological conversion.” Ecological conversion must be for us today an important part of our relationship with God, with one another, with nature and with all of God’s creatures. In order to find solutions to problems like climate change, diminishing resources and piles of garbage, we must first change our attitudes and our way of living in the world. Benedict XVI continued Catholic reflection on these issues. In Caritas in Veritate he noted that: “The Church has a responsibility towards creation and she must assert this responsibility in the public sphere. In so doing, she must defend not only earth, water and air as gifts of creation that belong to everyone. She must, above all, protect humankind from self-destruction.” In his message for the World Day of Peace in 2007, he reminded us of the inseparable link between peace with creation and peace among peoples. 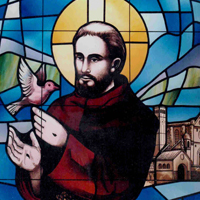 St. Francis had a passionate love for all of creation as God’s handiwork, which led to an even deeper love and gratitude for God, the source of such abundant blessing and diverse fullness. Our Franciscan concern for the environment has grown in recent years. 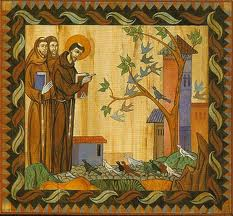 It is due, above all, to a commitment to follow in the footsteps of our founder, Francis of Assisi. He is widely acclaimed as the pre-eminent exemplar of Christian care for creation. Why would he have such broad appeal? Three reasons stand out. First, he had a passionate love for all of creation as God’s handiwork, which led to an even deeper love and gratitude for God, the source of such abundant blessing and diverse fullness. Second, Francis experienced God’s presence in creation, and thus offered a creation-affirming alternative to an approach that overemphasizes the “stain of original sin.” Finally, he modeled a path of contemplative action; his prayerful grappling with the pain of the marginalized, such as the leper, moved him to act with compassion. The Order’s JPIC Office has become increasingly involved in environmental questions. About five years ago, we made “environmental justice” the umbrella issue for our work. We have published two reflections that can be found in the JPIC section of the OFM webpage: Ecology in the Daily Life of the Friar Minor and Environmental Justice. We have worked with the Franciscan Family and with Franciscans International on ecological themes. One highlight of our work was sponsorship of a Franciscan delegation of nearly 60 brothers and sisters to the Rio + 20 environmental conference in Brazil in 2012. More recently, we have been an important part of efforts to promote the celebration of the 35th anniversary of Francis being named patron of ecology. John Paul II issued the bull of proclamation on Nov. 29, 1979. We invite all of you to reflect on this event, and to make it part of your programs for life and ministry. Material for the celebration can be found on the website francis35.org. As we celebrate this significant event, I hope that we might all deepen our understanding of what it means to call Francis the patron of ecology, and to explore the responsibility we inherit, as followers of Francis, to care for creation as its stewards. Perhaps the celebration of Earth Day on April 22 can serve as an opportunity to raise awareness of the 35th anniversary, and of our common responsibility to care for the Earth and for all our brothers and sisters. Fr. Joseph, a native of New Jersey, has served as director of the Order’s Office for Justice, Peace and Integrity of Creation since 2005. This posting was adapted from an article that originally appeared in the April 16, 2014 issue of HNP Today, the Province’s bi-weekly e-newsletter.